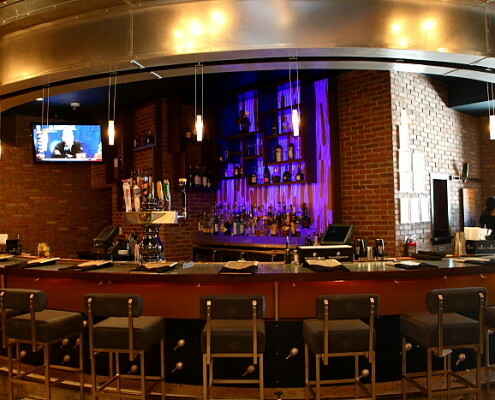 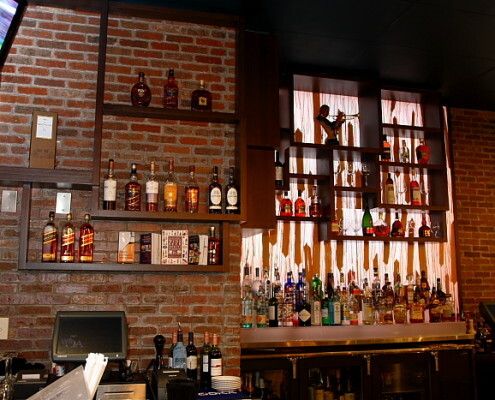 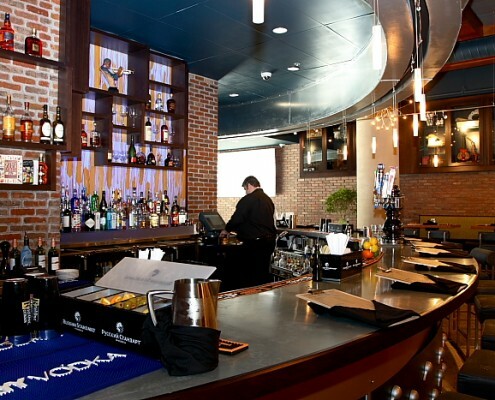 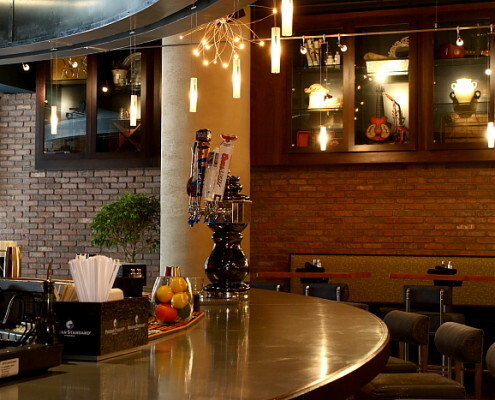 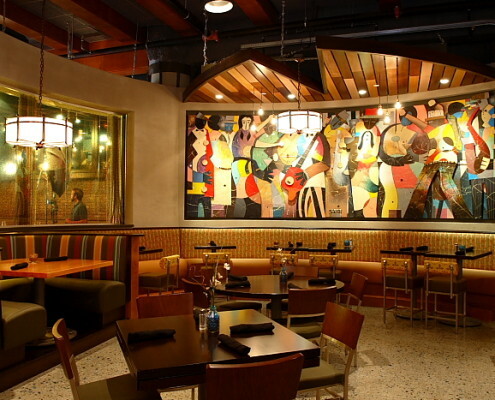 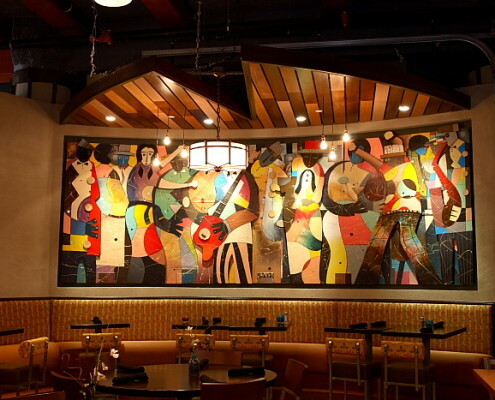 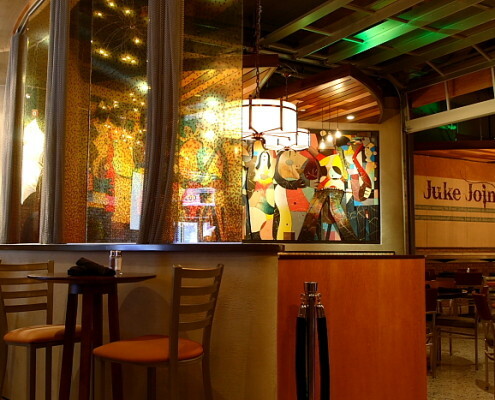 The southern inspired cuisine restaurant evokes a chic, local swagger as a sophisticated, modern & festive dining experience with a reverence for the culture of the historic Juke [Jook] Joints of the 1900-1950’s. 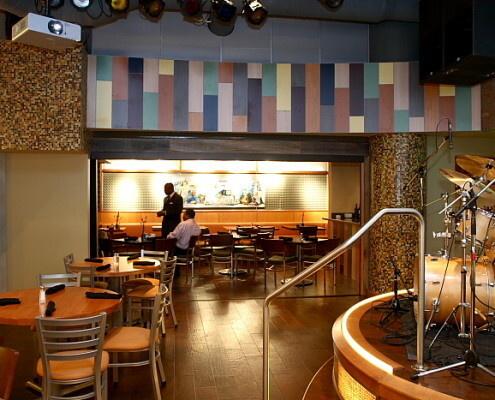 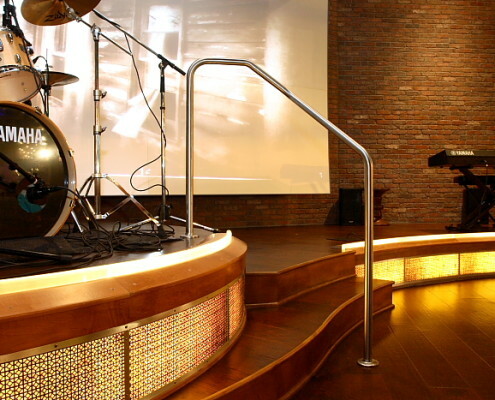 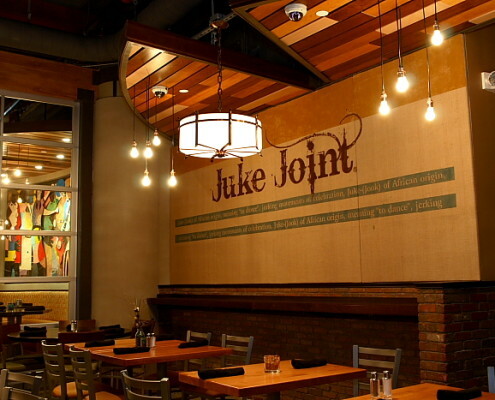 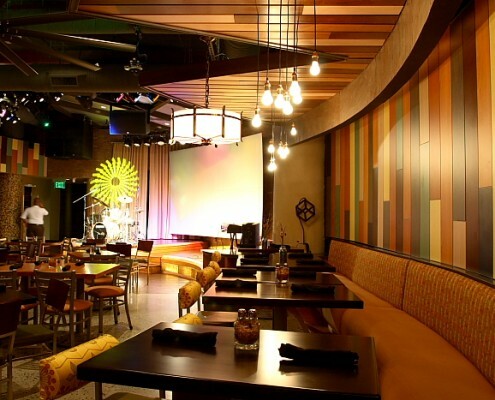 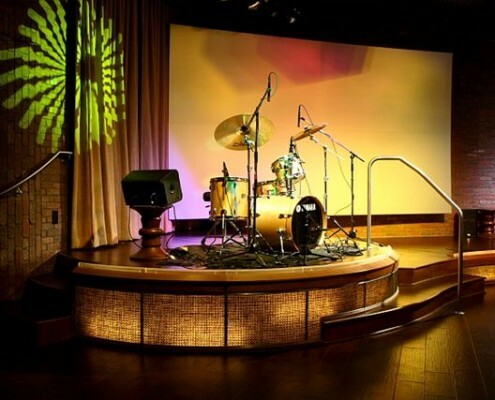 The Juke Joint is fast becoming THE must-see venue for live blues, jazz and R & B. 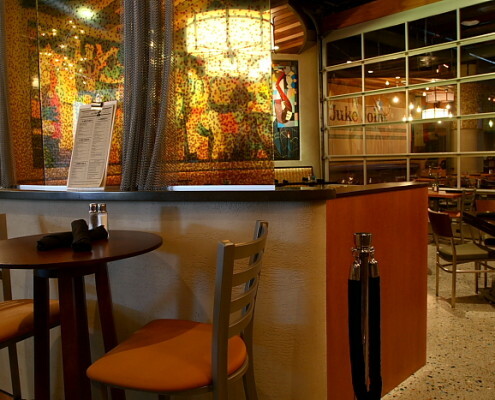 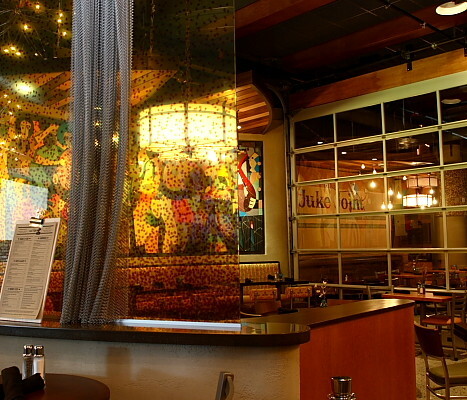 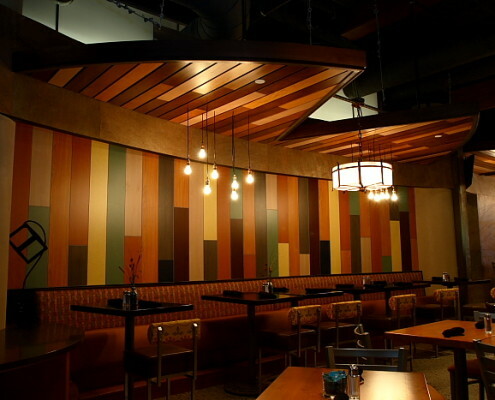 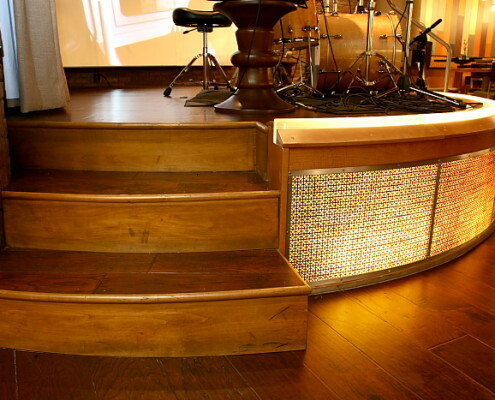 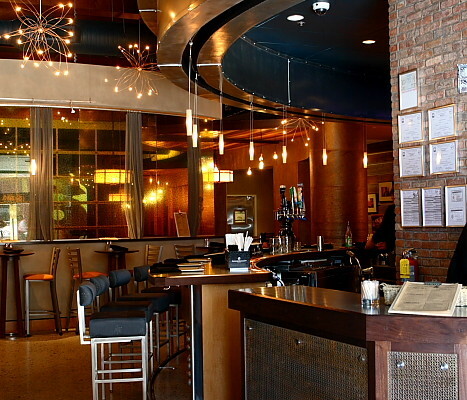 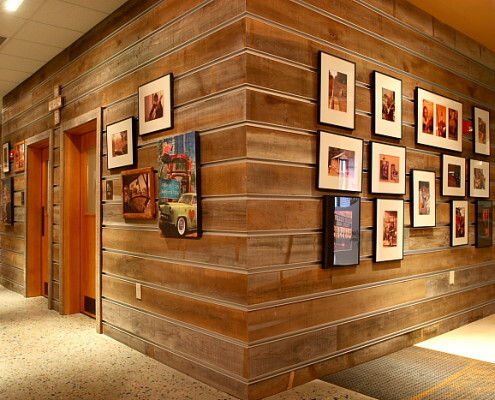 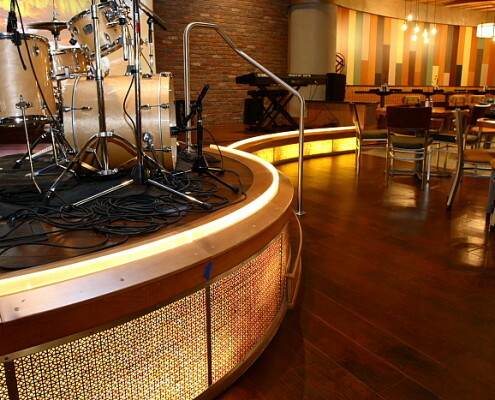 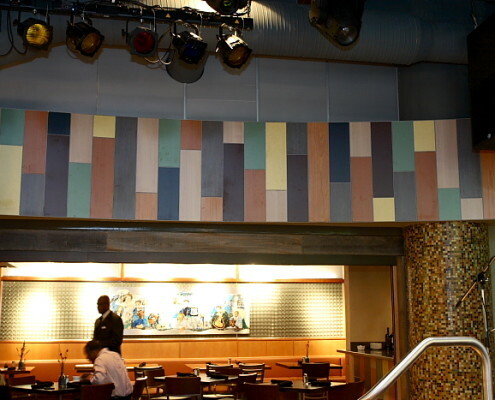 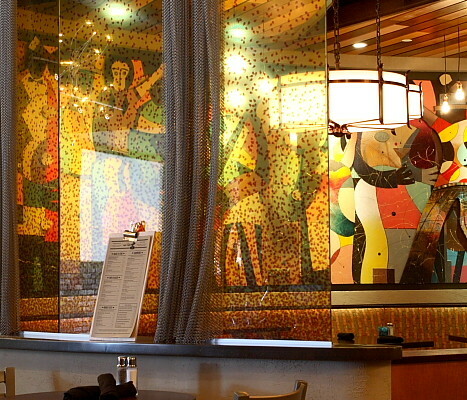 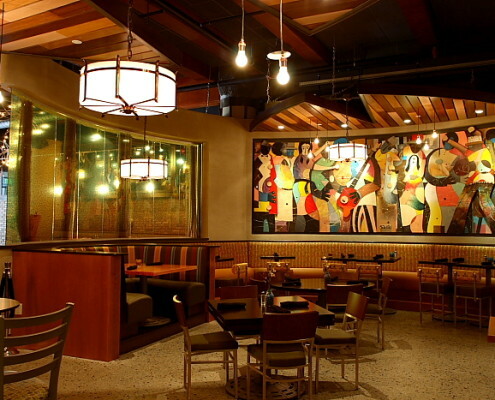 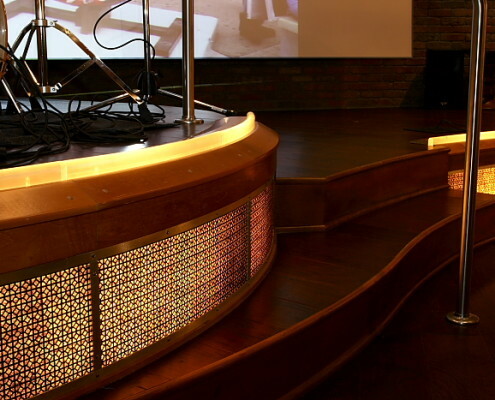 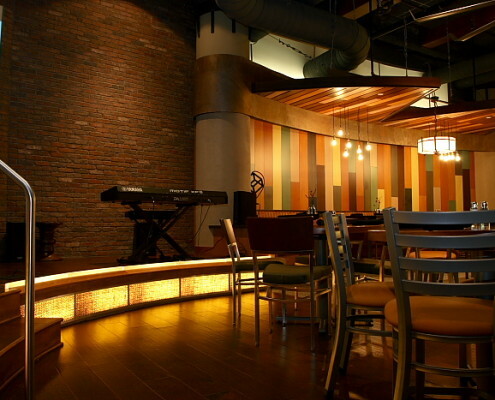 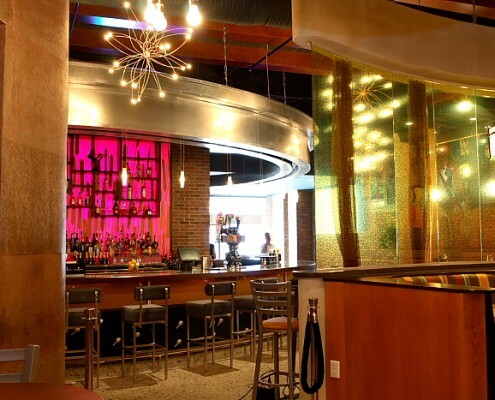 The design consists of reclaimed wood flooring, Contemporary lights with a nostalgic tone and multi-color L.E.D. 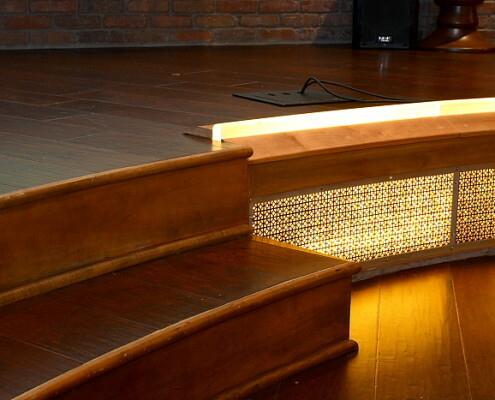 lighting that changes with the day and the rhythms of the music. 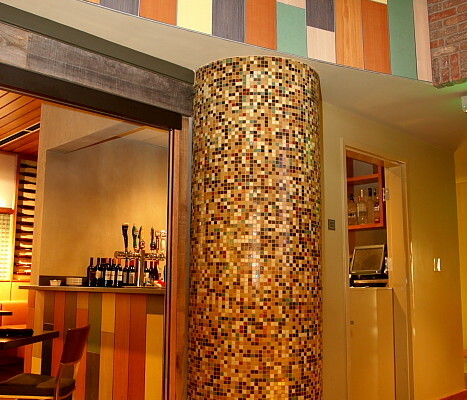 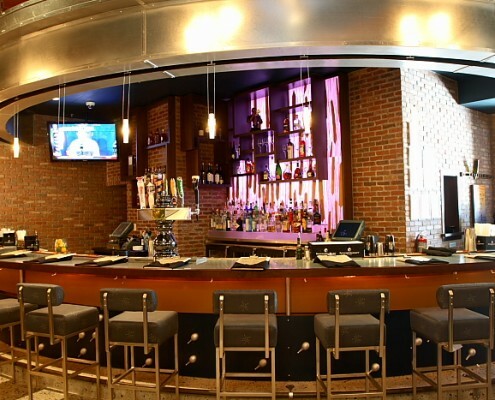 Some materials used to create this contemporary rendition of the back-woods, watering holes are: brick, stone, recycled woods and metals, recyclable zinc, corrugated tin, and burlap wall coverings. 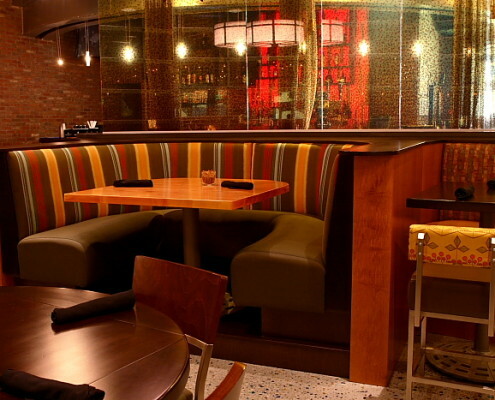 Seating is smart and comfortable, sturdy light weight aluminum. 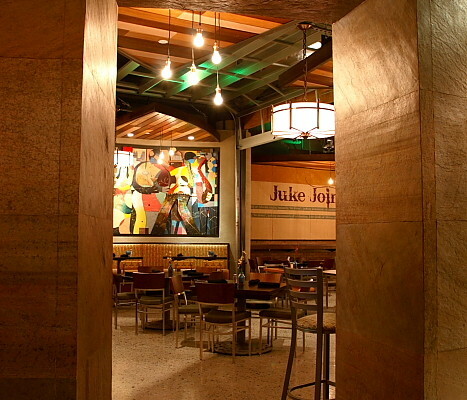 A juke box offers patrons an opportunity to play their favorite tunes from the 40’s, 50’s, 60’s or their favorite genre.